The history of hockey in Charlotte, and also the history of hockey in the southeastern United States, can be traced back to a fire that took place in Maryland in January 1956. With their home rink destroyed by a fire midway through the season, the Eastern Hockey League’s Baltimore Clippers needed to quickly find a place to play their final five home games. Enter the Charlotte Hockey Club, a group of investors that had already hoped to put a team in the new Charlotte Coliseum (currently known as Bojangles' Coliseum). Just a short time after the fire, the Clippers were an instant success in their new home. 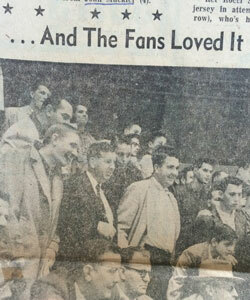 Despite having little experience with the sport (the entire team hosted an on-ice demonstration for the crowd prior to warm-ups), more than 10,000 curious locals, at least one of whom expected the players to be riding horses1 , packed the Coliseum for the 6-2 loss against New Haven. Approximately 3,000 more were turned away. A total of more than 40,000 fans, many of whom took to the rough-and-tumble nature of hockey in that era2 , would show up for those five home games. 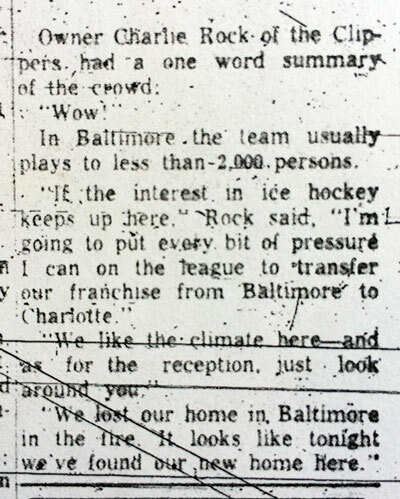 Despite earlier stating his intentions to return to Baltimore the following season, Clippers owner Charlie Rock, whose team typically played to audiences of 2,000 fans in Baltimore, had seen enough and quickly decided that the Baltimore Clippers would become the Charlotte Clippers3 . On-ice success would soon follow that of the box office. 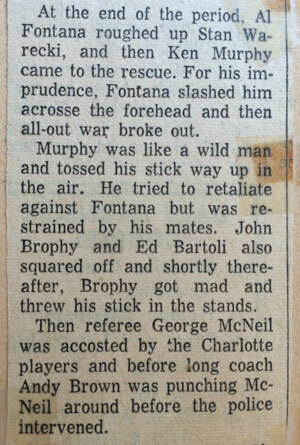 In their first full season in Charlotte, the Clippers, a team that featured two future NHL head coaches, John Brophy and John Muckler, on defense, captured the EHL’s regular-season and playoff titles in dominant fashion4 . The 101 points earned by the “Dixie Dandies,” as they were known locally, was the highest total in league history. Heading into the playoffs, they won 21 consecutive games at the coliseum. Based on the success of hockey in Charlotte, the EHL would go on to add another team in North Carolina (Greensboro), two in Tennessee (Knoxville and Nashville), two in Florida (Jacksonville and St. Petersburg) and one in Virginia (Salem) over the next 15 years. In the late 1950s, the team held a contest to rename the team with “Checkers” emerging as the winner. However, the new name did not renew enthusiasm for a team that suddenly found itself struggling on the ice, leading to the Charlotte Coliseum Authority’s takeover of the Checkers in 1959. 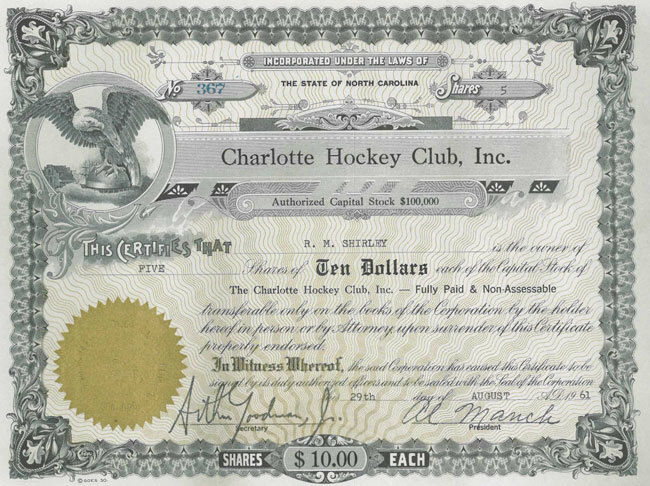 With losses continuing to mount, the team was in danger of folding until a citizen’s group led by Al Manch, the Checkers’ future chairman, raised $25,000 from 600 stockholders, who donated anywhere between $10 to $1005 , to keep the team on the ice. 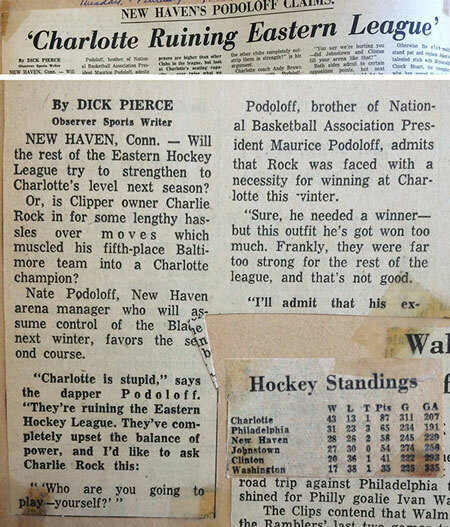 Over the next few seasons, coach Fred Creighton slowly built the Checkers back into an EHL powerhouse, winning back-to-back championships in 1971 and 1972. 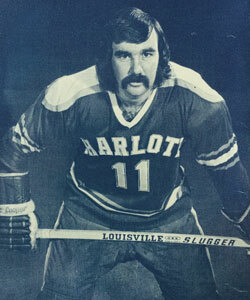 Following the 1973 season, the EHL split into two new leagues – the Southern Hockey League and the North American Hockey League. The Checkers landed in the former along with Greensboro, Winston-Salem, Roanoke Valley, St. Petersburg and Macon. In their first three SHL seasons under general manager and coach Pat Kelly, the Checkers lost in the seventh game of the final and then captured back-to-back Crockett Cups as champions in 1975 and 1976. The SHL era would be short-lived, however, as four of the league’s seven teams folded during the 1976-77 season6 . 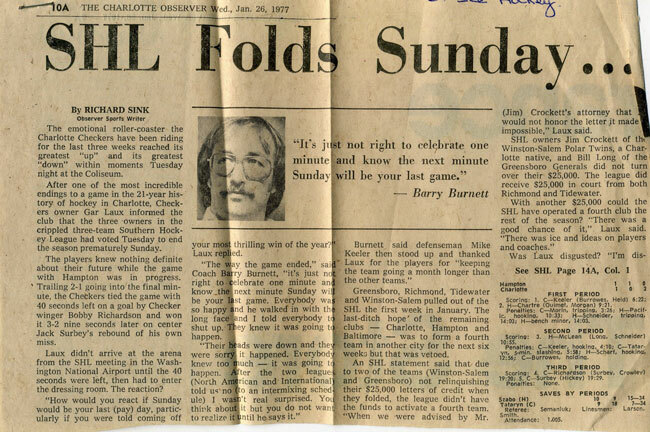 The three remaining teams, including Charlotte, hoped to join the NAHL but were refused, leading to the end of the SHL. The Checkers of the era played their last game at the Coliseum on Jan. 30, 1977 – exactly 21 years since their first. Fittingly and coincidentally, the last game was against the Baltimore Clippers. 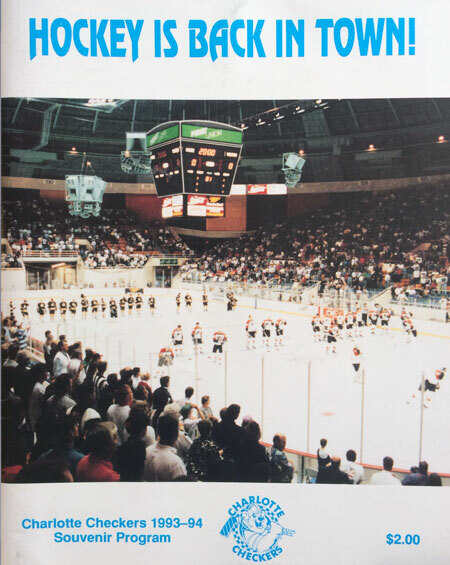 Shortly after the Checkers agreed to their first NHL affiliation with the Boston Bruins, a sold-out crowd welcomed hockey back to Charlotte with an exhibition game between the Bruins and Philadelphia Flyers7 on Sept. 28, 1993. 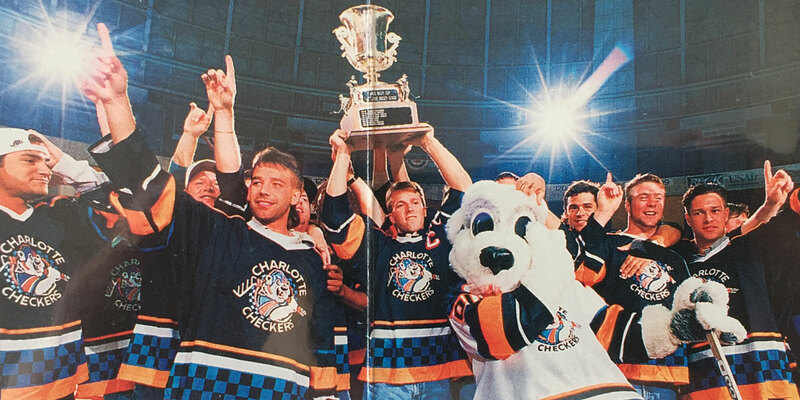 Continuing a trend shown soon after joining the EHL and SHL years earlier, the Checkers found early success in their new home, winning the Jack Riley Cup as ECHL champions in 1996, just their third season in the league. They were the last team to win a Riley Cup, with the trophy renamed the Kelly Cup in honor of their former coach who retired as commissioner following that season. 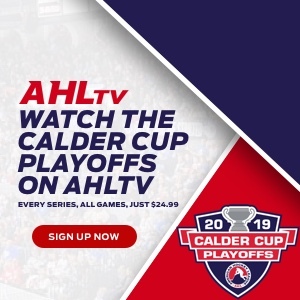 ECHL teams still compete for the Kelly Cup today. Beginning with the 2005-06 season, the Checkers moved uptown to what is now known as the Spectrum Center, marking the first time that professional hockey in Charlotte had been played outside of the old coliseum. 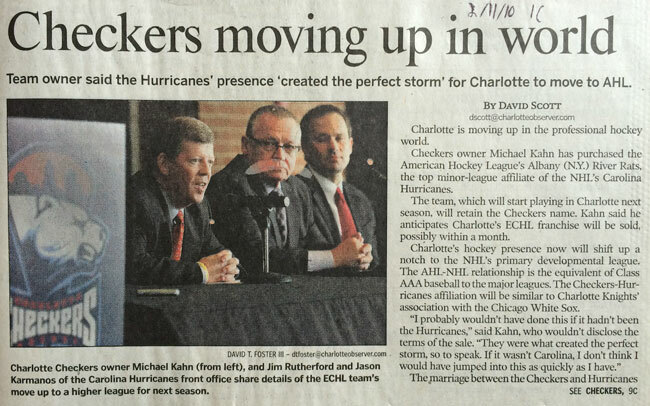 In February 2010, Checkers owner Michael Kahn, who purchased the team in 2006, announced that the American Hockey League approved his purchase of that league’s Albany River Rats franchise and its subsequent move to Charlotte to begin play the following season8 . 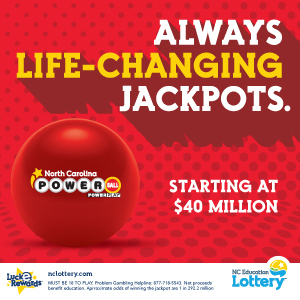 The team would retain the Charlotte Checkers name while entering an affiliation agreement with the NHL’s Carolina Hurricanes for the first time. 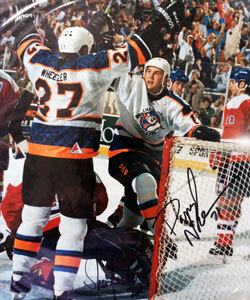 In their first AHL season, the Checkers posted 44 wins and 94 points during the regular season, marking the best totals for Carolina’s top affiliate since 2004-05, and advanced to the Eastern Conference Final, which was the deepest a Carolina affiliate had gone since 1997. Over the first five seasons of the affiliation, the Checkers helped develop several players who went on to play for Carolina, including Michal Jordan, Riley Nash, Victor Rask, Chris Terry and U.S. Olympian Justin Faulk. After 10 seasons at Time Warner Cable Arena (now the Spectrum Center), the Checkers returned to their roots at a renovated Bojangles’ Coliseum beginning with the 2015-16 season.